Coin (pronounced KO-IN) is an inland town located 30km north of Marbella and 30km west of Malaga. For a town of about 22,000 inhabitants, it looks smaller than it actually is, mainly because it is spread out over suburbs and rural areas. Together with Monda and Alhaurin el Grande, Coin forms part of a triangle of towns, sharing a number of resources. When the A355 opened a number of years ago, travelling time to Marbella was drastically reduced down to 20 minutes, increasing Coin’s popularity significantly. The trip from coin to Malaga Airport now takes approximately ½ hour. 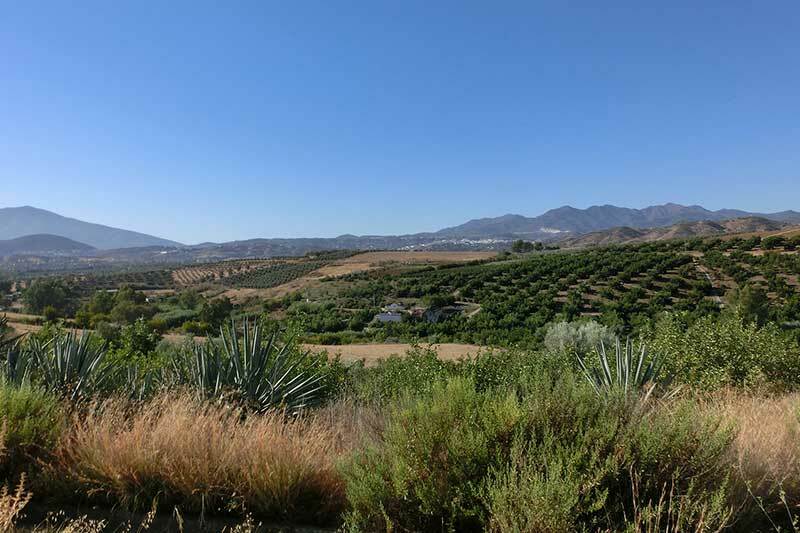 Alongside the obligatory olive trees you find everywhere in this part of the country, the area around Coin, as well as Alhaurin el Grande and Alora, also features citrus plantations and is well known for their oranges, lemon trees and almond groves. The town centre of Coin is adorned with cobbled streets depicting a bygone era, complete with traditional style buildings surrounding the town square. As you enter the town, you will notice the shopping centre on the right hand side, La Trocha, which is said to be the largest inland shopping centre inland in Malaga province. The architecture is slightly different to many other retail centres – the internal cascade feature is the marvel of many visitors. Inside La Trocha, you will find a good variety of shops including hair stylists, mobile phone shops, travel agents, a supermarket, bars and restaurants. On Sundays, look out for the popular car boot sale, a popular venue for locals, visitors and expats to seek out a good bargain. Coin has a comprehensive industrial estate with a wide variety of businesses trading from there, including mechanics, building merchants, furniture manufacturers and many other useful companies.